Welcome to Commercial Guard Systems. Commercial Guard Systems is the premier Low Voltage leader in the Midwest. We can design and build new systems or update older projects with the latest technology available. Commercial Guard Systems was established to provide the most advanced and affordable Security and Integrated Systems solutions in the industry. With over 10 years experience, our engineers will design and install the latest state of the art Low Voltage system that our clients require. Our projects include multi-family units,factories, and executive residential homes. No project is too small or too large; we strive to maintain customer loyalty and complete satisfaction. From start to finish, Commercial Guard Systems is the only provider you need to contact. Our factory-trained sales, installation, and service department is just a telephone call away. Our staff is always able to correct any problem threat may arise. The secret to our success begins with the planning of your project, discussing your needs now and anticipating your needs in the future. 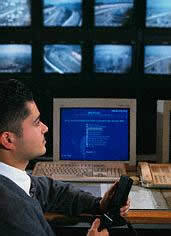 Commercial Guard is committed to provide the latest technology for the future.